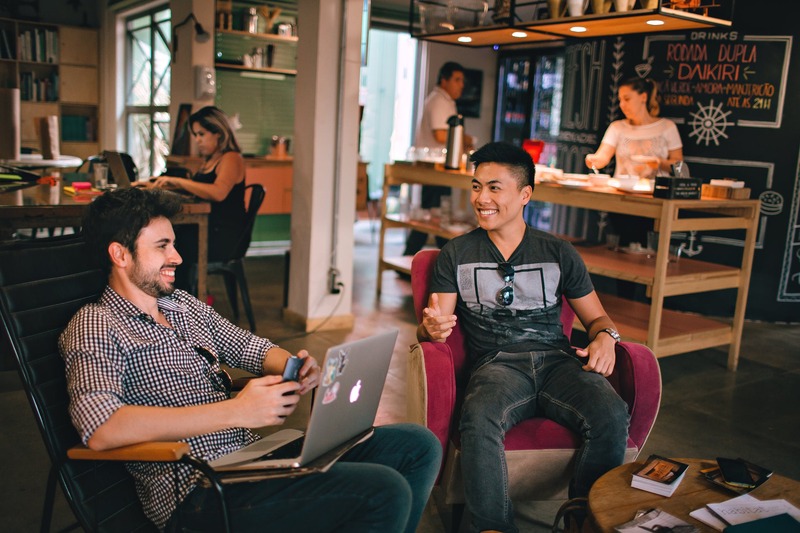 10 ways that a Coworking space can save you money.. Renting an office can be costly and time-consuming. Rent, furnishings, utilities, and maintenance soon add up. Given these expenses and the cost of time to put it all together, more and more companies are turning to cost-effective and convenient solutions, such as Co-working space. Here at Accrue Workplaces desks are paid monthly on a per desk basis. With no long-term leases and a one month rolling contract system, where you only pay for the space you need, it provides a flexible option for growing companies. Since the launch of Accrue Workplaces some of our current clients have expanded their business and have already increased desk space. Here at Accrue we have collated 10 ways that our Premium Co-working office Space can, in fact, save you money. You only pay for space you really need. Facilities like toilets, kitchens, meeting rooms are communal. Accrue Workplaces takes care of these so that you don’t have too. This can provide a large saving for businesses, who would otherwise have to pay rent on all the space they use. By sharing the costs with multiple members, the facility can be to the highest specification, with all of the best amenities and the subsequently diverse community is incredibly stimulating, allowing an enjoyable and inspiring atmosphere to organically grow. When renting a leased office, you will normally have to pay Business rates and a number of utility bills for the running of the office. Here at Accrue Workplaces these costs are included within membership fees. In addition to the excellent facilities and amenities offered, our community managers ensure that the concept of Coworking is embraced, organising regular networking and community events for our members to both utilise and enjoy. Any company that wants to expand takes a risk renting leased office space. They cannot be certain that their company will definitely grow into the space, nor can they be definite they won’t outgrow it. Either way, by taking a larger space to grow into, they will be paying for it (and for a long time, as you are usually bound to a 3 to 10-year contract). Co-working office space rids you of this worry. When leaving at the end of a leased office rental term, you would normally be charged for dilapidations, meaning that you may need to pay to have the office space returned to its original format, as it was before you moved in. These end-of-tenancy costs themselves can sometimes catch tenants out, with landlords exploiting this. It’s additional costs like these that make Co-working Office space seem like such a paradise. Once expensive additional costs in Co-working Office Space, telephone calls are no longer a financial worry. Here at Accrue Workplaces we offer 500 inclusive minutes to landline and mobile when the Private Office and Dedicated membership is taken out. Accrue Workplaces cover all the maintenance costs. Networking has long been accepted as a powerful business tool and an excellent form of organic marketing. If done correctly, it can offer excellent returns, far greater than any required investment. Purely based on the law of averages, increasing your number of professional interactions will increase your chances of meeting individuals who you can benefit from commercially.